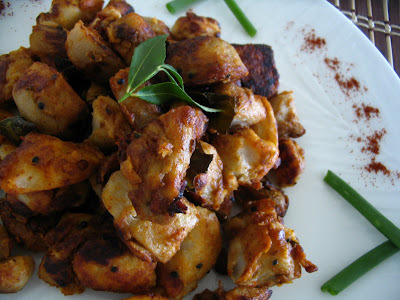 Arbi or arvi in india, it is known by various names seppankizhangu in tamil, arvi in hindi and chama dumpa in telugu. This is called asTaro and is used many parts of world. It is believed that raw form of plant is due to the presence of calcium oxalate. Its also leafy vegetable which is also used for cooking is rich source of vitamins and minerals. Arvi has the tendency of making hands and mouth itchy. But when it is becomes old, itchiness will get reduced. It can be used similar like potato. This roast is yummy tastes delicious with hot steamed rice served with ghee, curd rice and dhal etc. Here is how I do this delicious spicy roast. 1. Boil arbi in the water for few minutes so that it has to be 3/4 cooked. 2. If you touch and see the outer part it has to be soft inside it has to be hard. 3. Now drain the water and when cooled remove the skin and cut into bigger pieces. 4. Heat oil in the frying pan and season with mustard and urad dhal. 5. Add curry leaves and then chopped arbi. 6. Now add the tamarind, chilli powder, saunf(optional), salt. 7. Toss or saute well and roast it by mixing occasionally so that it will not break. 8. It will be crispy outside and soft inside. Tastes so good...enjoy with rice. By boiling and draining the water removes the itchyness. If you like the coconut oil flavor adding a tsp at the end while roasting gives great flavor. Nice presentation.. will check for Taro in the next grocery trip.. 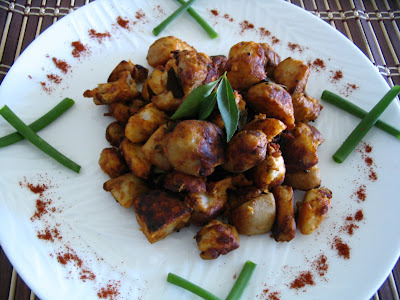 Adding tamarind to roast is new to me...Nice post pavithra..
my favourite curry! Sepankizhangu roast! that too with tamarind only! Amma makes it very weekend! How i miss hers! Yr picture looks soooo good. I feel like coming to yr house now!! wonderful varuval. My hubby's fav side dish. yeah I do the same . You Roasted it nicely..wonderful side dish..Feeling like having it with sambar/rasam rice.. Thanks friends for ur encouragement and comments.. I tried this today and it turned out to be tasty. Thanks for the post! 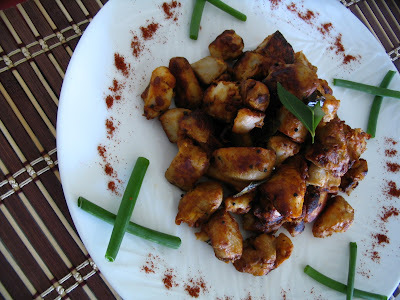 I tried this recipe today and it turned out good, this is the first time I cooked Arvi :), we liked it a lot:) thank you..